For years before we owned a home, we lived in rentals or spaces that weren’t really our own. There were even times we lived without any of our own furniture in our home. We actually spent years without even our own mattress. The list goes on. In the process, though, we always tried to find ways to make a home wherever we were. Since many of you are in similar places where you may be renting until you can buy, staying with family or even not in your dream home yet, I partnered with the Michigan State Housing Development Authority to share ways we made the most out of those times in our life without breaking the bank. I have many friends who do not own homes and even live between multiple places in order to save money or while they chase a dream. These days, with the rising pricing of housing, I think this is fairly common and programs such as MSHDA can significantly help renters and homebuyers find ways to purchase a home or make renting more affordable. However, what do you do if that space isn’t your ideal living situation? How can you make it feel like it is meant for you while you call it home for however long that may be? Nearly every place you are has windows. If you don’t have windows, it probably isn’t legal – or safe — for you to be staying there. I find that natural light can dramatically shift a space. By removing curtains, shades, or any other light deterrents in your space you will be able to feel like your room is brighter, fuller, and more inspiring. Natural light is powerful. Now, if you still feel like the light isn’t to your liking or you hate the lighting in the space, take notes from the Danish. They set warm lights low or at eye-level in order to create a cozy and inviting feeling in a space. Simple lights such as these ones can dramatically shift how light feels especially in the evening or if you aren’t allowed to burn candles where you are renting. It is amazing how lighting can completely change your feelings about a space. Ditch fluorescent lighting but add in low and simple lights in kitchens and throughout the other rooms. Don’t feel you HAVE to use the existing lighting. Most rentals come with fairly neutral tones on the walls and many times it isn’t an exciting color. If you plan to move quite a bit, sometimes thinking neutral about the things you own in the space is helpful. Personally, I find neutral spaces far more calming and inspiring. I feel it leaves space for everything else to take place around you. Also, neutral tones will open up a space. Sometimes, certain colors will draw too much attention and tighten your view of the room and ultimately feel smaller. Not to mention, if you move, if you have invested in anything for this space it is either easy to sell or will work in another space very easily. Since most rentals don’t allow you the ability to paint anything, you can still paint other things that you own. Finding repurposed pieces and painting them to fit the space is a great way to bring life to a room as well. For instance, you may find chairs that are white and instead of keeping them white, you think about painting them a really soft gray/blue or even a bold army green. These colors can make the space feel more like your own. 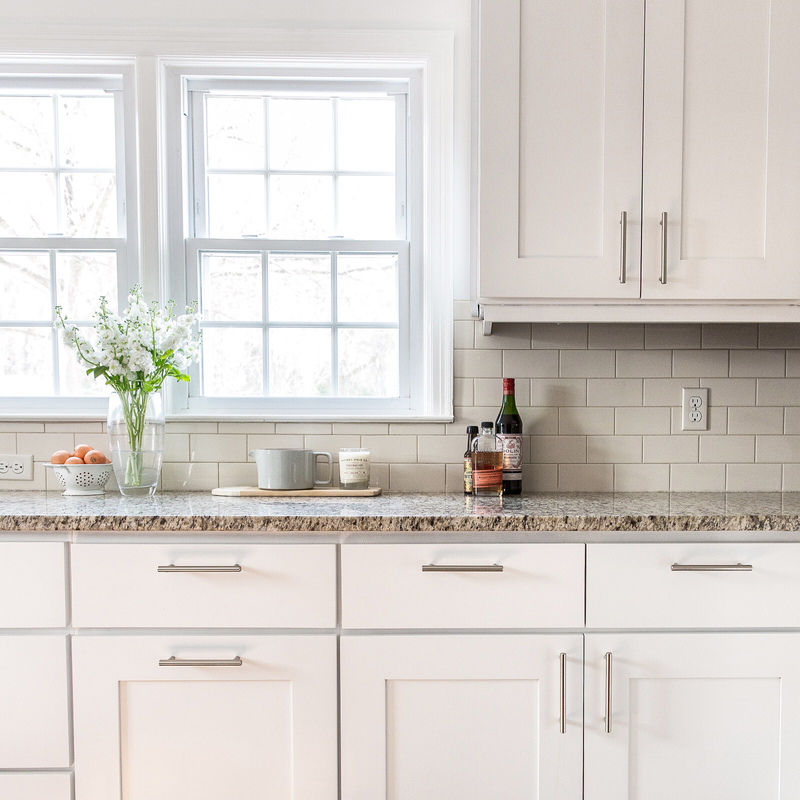 Now if you do own the space, you may think about small renovations that are simple and easy such as repainting cabinetry and so on. You can see how we did this here in our Raleigh home we had as our first home we purchased. 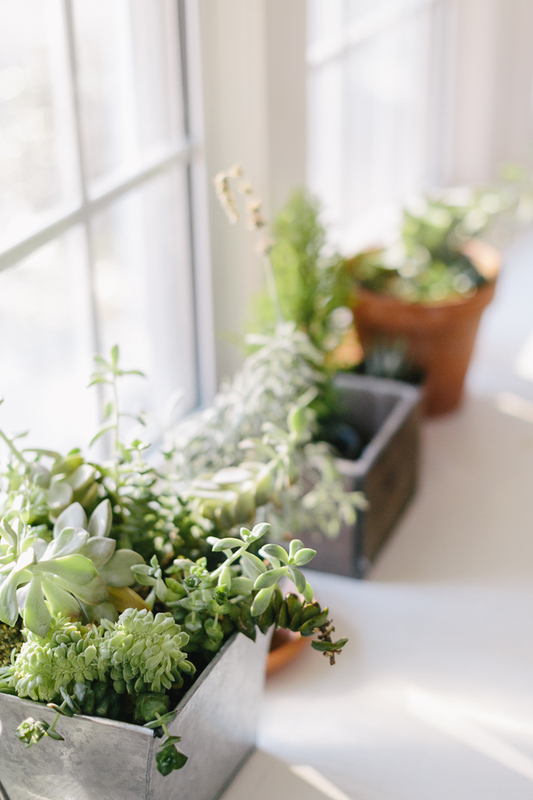 Plants are a wonderful and low-cost way to create a homey and inspiring space. Some plants are easier than others to bring into an indoor setting so check out this awesome guide for great houseplants and how to care for them. Plants do a lot for a space such as naturally filter the air and also create a happier feeling to a space. Collect used pots and containers from a second-hand store, garage sales or antique stores, then buy a bag of dirt and pick up a few plants. For just a few bucks a month you could build a whole garden right in your rental. 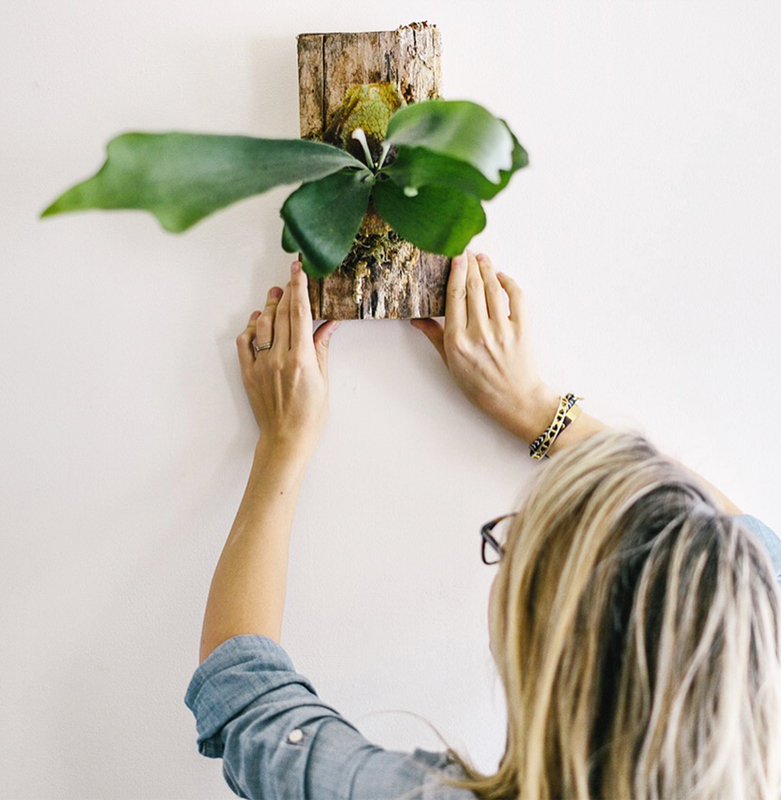 Another great DIY is for a wall-mounted Staghorn or Orchid for your space. When you enter a space, don’t feel you have to stick to what a room was designed for. If you enjoy the lighting in the living room the most for working and dining, then switch it up. No space has to be exactly as it was designed, especially in a rental. You can make a bedroom a living room and more. I like to make sure that most of life is happening in the brightest rooms in the house and sleep is happening in the darkest spaces, but that is me you may have different feelings. Just know that you don’t have to stick to the rules on what a room seems to be intended for. 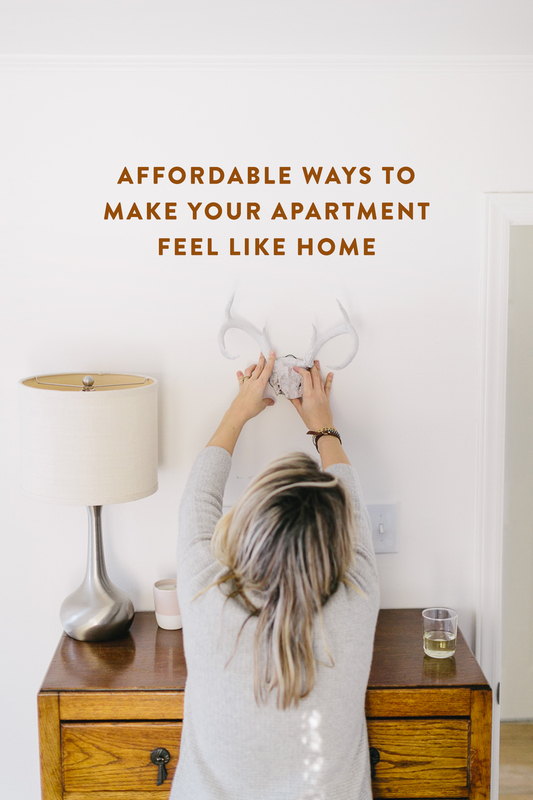 The last tidbit is don’t feel like you have to do a lot or buy a lot to make a space yours. 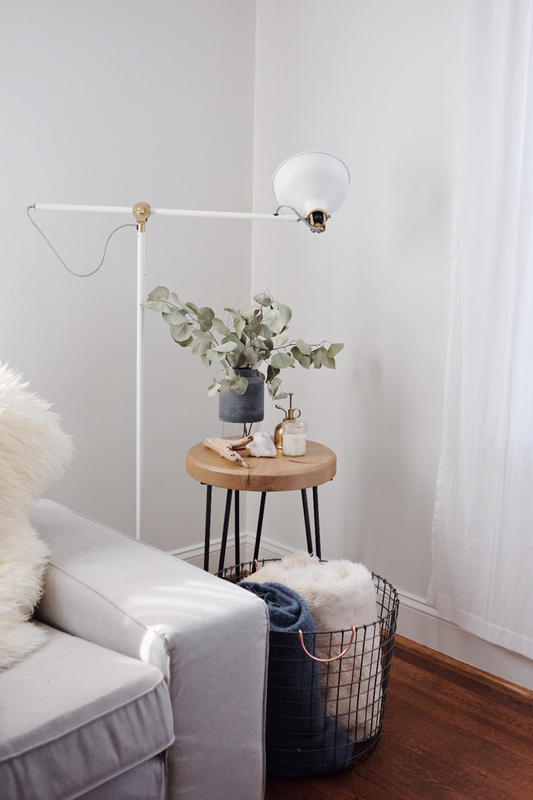 sometimes just keeping things minimal, simple, and focused is the best way to make the most of a space and make it the most inviting to friends. Keeping things minimal will allow you to keep the space cleaner and more organized. When you do end up moving, you will have far fewer things to pack up. The best part is you will save a ton of money not buying too much for the space, which will help you have more money to put away or pay off debt so you have the freedom to make other decisions down the road. Simple touches and rethinking can really be the best way to make the most of a space you have at the moment. So, tell me what have been some awesome things you have done that are affordable to help make a space feel like home while it is temporary for you? This post was sponsored by MSHDA. Find out more about how they are helping so many find homes, rentals, end homelessness, and preserve the culture of Michigan. Thank you for supporting the sponsors we choose to join us on The Fresh Exchange every year. As an artist who’s been in 15 different rental in 7 years (thanks to my hubby’s job as a medical traveler), displaying artwork, either mine or the work of other artists always helps make a rental more like a home. We are almost always in furnished rentals, which can make that “homeY’ feeling even more of a challenge when living with other people’s stuff, so even before I was painting full time, I had a few small pieces of my own and work I’d been gifted that could just sit on a shelf or I would switch out existing art for my own (stashing the landlord’s art in a closet or under the bed). 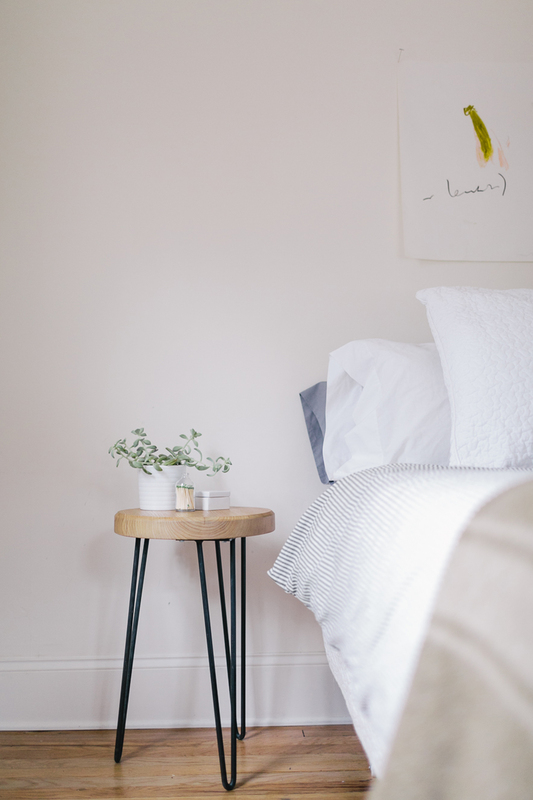 luxuries like nice towels and linens also make a temporary home much more cozy. Love this post so much, Megan! I completely agree with everything, especially letting in light and keeping things neutral. My favorite thing to do in making any space feel like home is small, affordable, seasonal touches you can bring- like cinnamon or pumpkin scented candles for the fall with trader joe’s mini white pumpkins (so cheap!) 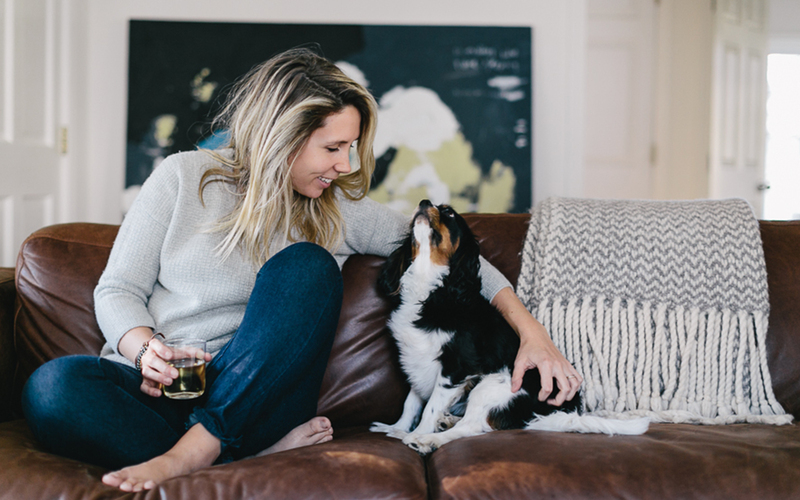 that you can put anywhere and everywhere, to a cozy throw on the couch for the winter. Nothing extravagant, but when I switch up a few things around the house for each season, it makes it that much more home-y and personal.